More than two dozen advocates gathered outside of the Capitol to support SB 1200. 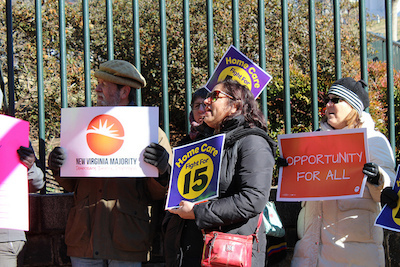 A Senate bill that would have raised Virginia’s minimum wage is dead. • HB 1850 would raise the minimum wage to $9 on July 1 and eventually to $15 in 2023. • HB 2157 would raise the minimum wage to $10.10 in 2020. • SB 1017 would raise the minimum wage to $8 on July 1 and eventually to $11.25 in 22.